A gathering at Good Shepherd Episcopal Church in Friendswood, Texas. 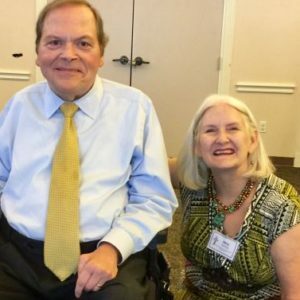 On Sunday, July 9, 2017, I was invited by my dear cousin, Mary Sterling, to speak to a large gathering at Good Shepherd Episcopal Church in Friendswood, Texas. Mary’s father, The Rt. Rev. William E. Sterling, served as its Rector prior to being elected the sixth Bishop Suffragan of the Diocese of Texas. After church services members of the congregation joined me for lunch and the breaking of bread. I shared the story of my four-hoofed angel, Old Donk, told in my book, Bending Angels. Whether it is polio, an illness, the death of a loved one, the loss of a job or a marriage that ends in divorce, God will give us each day what we need to face such passages. God will provide to all of us our daily bread just as Old Donk received her bread in her daily comings and goings in Emmottville. Tomorrow will take care of itself. Today’s blessings from God will be the spiritual good to feed and sustain our souls on Earth and in heaven. May God bless this house of worship and all who dwell and pray in it. 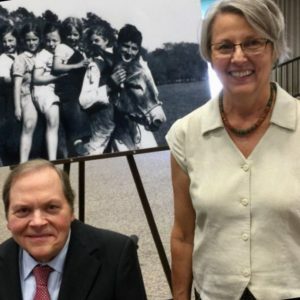 Filed Under: In The News Tagged With: Bending Angels, Good Shepherd Episcopal Church in Friendswood, Jack Emmott, Mary Sterling, Rev. Geoffrey C. Gwynne, Texas. 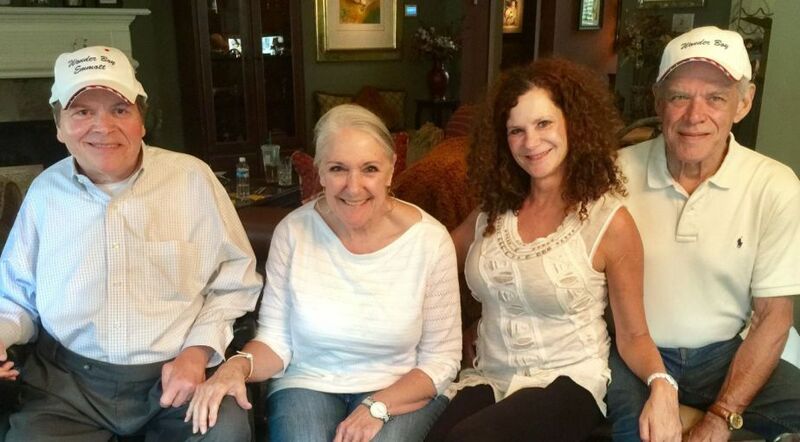 I was so blessed to attend a gathering of their friends and family to share my book Bending Angels with them. Wearing my ” Wonder Boy Emmott” baseball cap I told everyone what I received from the coach after my dream died of becoming a great baseball player. Polio killed that dream but the gift from the coach and the plans God had for me far exceeded what a career in baseball would have done for me. Paul has overcome the death of loved ones and more recently cancer. I presented a well-deserved “Wonder Boy” cap to Paul. He is an amazing legendary oil and gas attorney and servant of the Lord. Paul, may God bless you and Cyndi now and forever. You are my hero. Pictured with me are Julie Quaid and Linda Solomon. On Friday, June 23, 2017 in Dallas I attended the State Bar of Texas Collaborative Law Section’s Annual Meeting. Julie Quaid, Outgoing Chair, capped off an exceptional year with introducing Linda Solomon, Texas’s nationally acclaimed collaborative mental healthcare professional. We learned practical tips for managing conflict in our work to help married couples divorce peaceably and preserve their relationships. Julie and Linda, thanks for reflecting your healing and inspirational light on us in the past and on this memorable day. 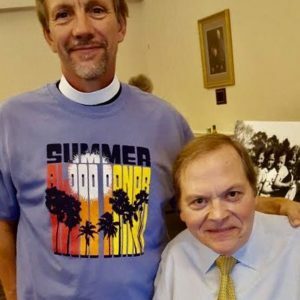 Pictured with me is Terry Waddell, Church Administrator for the Episcopal Church of the Epiphany, Houston, Texas. On June 20, 2017 I had the pleasure of speaking to a well-attended and attentive Bible Study Group at the Episcopal Church of the Epiphany in Houston, Texas. My talk entitled, “Where is God in marriage? Where is God in divorce? Where is God in all difficult and heartbreaking passages in life?” God sends us messages in prayer. God sends us angels, messengers of God’s love to give us what we need one day at a time. I shared the story of Old Donk, the four-hoofed angel in my book, Bending Angels. Old Donk let me know every day, as I bore the cross of polio and paralysis, the importance of asking for and receiving my daily bread. May God Bless this special group of well-developed, loving and purpose-filled souls. 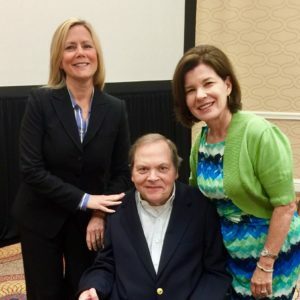 Jack H. Emmott is a Senior Counsel of Gray, Reed & McGraw, LLP, a 120-lawyer full service firm in Houston, Texas, a Board-Certified Family Law and Master Credentialed Collaborative Law Professional Divorce Attorney, Mediator, Author, Entrepreneur and Inspirational Speaker. 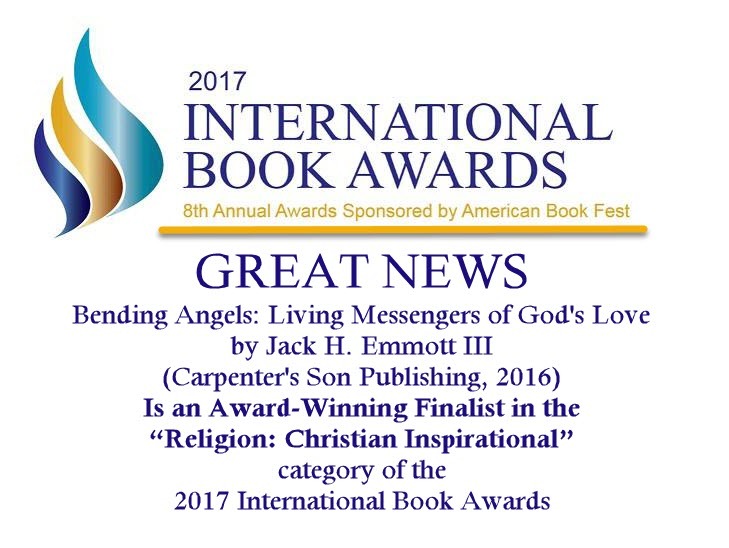 For more information about Jack or his latest book, Bending Angels: Living Messengers of God’s Love, go to www.bendingangel.com. Filed Under: In The News Tagged With: Bending Angels, Episcopal Church of the Epiphany, Houston, Jack Emmott, Terry Waddell, Texas. On Wednesday, June 7, 2017, I had the pleasure of speaking to members of the Pasadena South Rotary Club. My presentation was entitled Rotary’s Polio Plus Campaign and the Collaborative Law Process: Therapeutic Healing for the World. As of April 2017 there were only five cases of polio in the World limited to Pakistan and Afghanistan. This is in sharp contrast to the 48,000 cases in America when I had polio in 1954. The work that over 5,000 Collaborative Professionals do in 27 countries around the globe will never prevent conflict as Rotary eliminates polio. However, conflict in relationships with others can be resolved in a peaceable, client-centered, private and interest-based resolution process. Children around the world will be less victimized by adversarial divorce. Prevention from harm and healing of relationships go hand in hand. Imagine a world in which no child knows what polio is. I dream of a world in which peaceable resolution of interpersonal conflict is selected before resort to adversarial litigation. 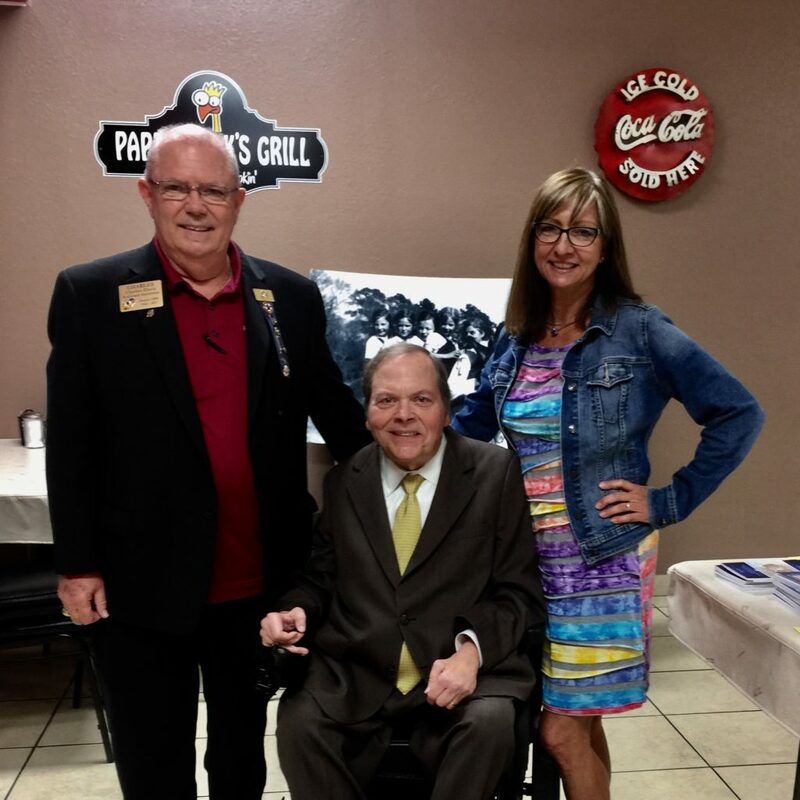 Pictured here with me are Charles Davis and Linda Nagel, Rotarians. I am so blessed to be recognized by the National Law Journal in its May 2017 issue for my work in the practice of collaborative law. There are instances which require resolution of family law disputes within the framework of the adversarial court system; I have litigated hundreds of cases. When we share our spiritual journey with others out of deep faith and love of God, we become part of the healing of humankind. As an author writing Bending Angels to and for the Author of creation and salvation, many blessings have flowed to me. Please join me in the celebration of this blessing and accomplishment. Thanks be to God. Thank you, Christena, for your generous review. You see to the heart of Bending Angels and that my “thankfulness comes through to a reader in multitudes”. I wrote the book to tangibly express what I feel in my heart and to show that the role of angel is available to all of us. Carpe diem. To read Christena’s review, click on the image below and scroll down in the blog. This is the last day of our Lone Star Literary Life Virtual Blog Tour. Thank you for virtually traveling with me. God bless you, Jack. Join me today for a trip back in time–to Emmottville, where I was born and raised. It was a melting pot of siblings, in-laws, grandparents and 45 cousins. What a joy for me. PawPaw knew how to raise a tribe. Click on Books and Broomsticks image and scroll down a bit for the Emmottville story. God bless you, Jack.